February 2015 – The Crazy Student. NEDAW – What an eating disorder is REALLY like. I haven’t posted as planned during NEDAW due to being very consumed by other things however a friend reposted something I wrote a year ago and it’s one of the only times I can say I really love something I have wrote, purely because it really is the image of eating disorders that I want people to understand, rather than some of the things put out there. It’s National Eating Disorder awareness week & this year I want to make a point that I feel is very important. I could post a photograph of myself when I was very underweight (though to be honest, these were far and few between, and all deleted to my knowledge), I could list all the physical consequences I had at the time, and the physical consequences that I have even now, but I don’t think that’s helpful. I want to raise awareness of a single point, and that is, that eating disorders aren’t about weight. I have heard multiple stories from friends and others, who haven’t been at a weight that has been of concern to medical professionals, and have consequently been refused treatment or given inadequate treatment. The same professionals who tell you eating disorders aren’t about weight, treat you according to your weight. Eating disorders come in all shapes and sizes. People lose different amounts of weight, people start at different weights, people can be dangerously physically unwell at healthy weights, and people can be suffering psychologically at any weight. People can be overweight, a normal weight, any weight. When people state that someone doesn’t look like they have an eating disorder, my automatic thought is ‘what the hell does an eating disorder look like?’. It’s the equivalent of saying someone can’t have a mental illness because you saw them smile yesterday, or can’t have cancer because they don’t look ill and haven’t lost their hair. It’s utter rubbish, and I can’t stress it enough. My eating disorder has had all sorts of physical consequences and I’ve had periods of being very ill, and a photograph might show you this in a quick and easy way, in a shocking way, in a way that grabs your attention – but I’d rather you try to understand what an eating disorder is, than be intrigued by photographs of an emaciated body because these kind of images only represent one kind of struggle, the physical consequences of anorexia nervosa. They do not show the psychological suffering of any eating disorder, and do not represent bulimia, binge eating or EDNOS in any shape or form. My eating disorder stole years and years of my life, it stole my last few years at school, it delayed me getting to university, it made me depressed, it hurt so many people around me, it made life not worth living. It made me shrink in many ways that are completely unrelated to weight. It turned me into nobody, it made me empty and unhappy. It took away years that could have been filled with happy memories with the people I loved, and instead led to isolation, pain & suffering – these are the things I want you to know, not my lowest weight or smallest dress size. I decided to not go home at all before the Summer. I find it far too disruptive in many ways and I find the days before going are filled with stress and anxiety but then once I’m home, I don’t want to go back to university. Home varies between helping me, and making me worse depending on how things are there, as my Mum has mental health problems. It also depends on where my sister is and how she is, as she’s in hospital but gets various amounts of home leave. 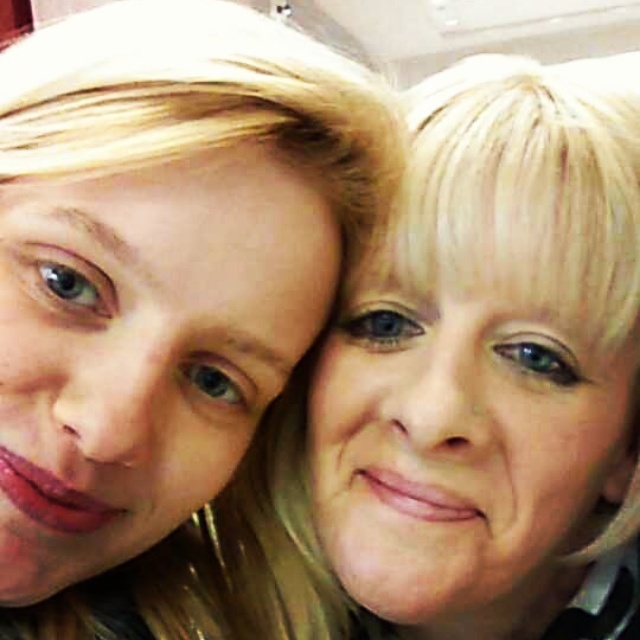 So instead, my Mum came to see me for the day and it was nice to spend some time with her and even better to get a hug! I’ve had a stressful end to the day, with some news I’ve had, but I’m working out how to deal with it and I’m planning to talk to all of the right people. Balance and the recovery obsession. We hear it all of the time. Balance this, balance that. It gets a bit tiresome perhaps, but really balance is the key to everything. I am highly opinionated on the way this country (and probably many others) addresses obesity and health in general. I’m very much towards balance in this respect, and my way of working out if something is the right thing for me is to ask myself “Is it sustainable?”. If the answer is no, I most likely shouldn’t be doing it. I want the decisions I make in my life to be things I can sustain for a long period, if not forever, without burning out, exploding, or whatever else. With exercise and eating in mind, I see it as a lifestyle. I’d never encourage someone to use the term diet. I’m not usually that pedantic about terminology but lifestyle over diet any day. Any way, to the point Natalie. I’ve been doing some hard thinking about my blog and about disclosure. It’s been something I’ve always had in my mind, but that I perhaps have only thought about rather than put into practice. I want to be honest, and I want to help others. But I don’t want to be overly negative. I don’t want my downs to dominate and I want to keep some things private. At first I thought that was a shame because I want people to realise how awful living with a mental illness can be, as well as how much it teaches you and changes you for the better. But the fact is, it’s personal. Very personal, and I don’t think sharing everything should be the only way to tackle stigma or change people’s ideas about mental illness. It should be possible to keep some boundaries. We are entering a very open time in society with regard to many things, but especially with mental illness, combined with living in a time where we can share anything online. It is simultaneously exciting and terrifying. Balance is key. Balance to what I write on this blog is what I need to find, as a young and pretty clueless writer. I want to share some things, but I also want my privacy. I want to show that stigma can be reduced and attitudes can be changed without having to be extreme, without having to show all your dirty laundry for lack of a better expression! This never started as a diary, and I would hate for it to of which I think the risk is real. I write to raise awareness. I write because I have something to say. We all do. I write to make people feel less alone and I write because I have to. I need to write like I need to breathe. After much thought long before now, combined with deciding to do something about it today, I need to know what my blog is. I need to define it. I will write about the things I see going on around me, connected to mental illness. I will give my take, and I’m not going to turn into a closed book, but that of a more personal level, will remain personal. There’s a real risk in that which we term ‘recovery’ becoming an obsession in itself, and that can keep us trapped in the mental illness. It can lead to mental health consuming us, yes in a different way, but still in a way. Recovery can become an obsession and sometimes online communities and blogs can exacerbate this. Yes I have mental health problems, no I do not know how everyone feels. I think this is an important thing for everyone to recognise, especially writers, bloggers and professionals. I have mental health problems. I do not necessarily know how someone else feels. Number one, there are many different types of mental health problems just like there are thousands of different physical health problems. Someone with a broken foot doesn’t necessarily know what it’s like to have diabetes. Number two, no two people experience one thing the same. Two people may have diabetes but their physical symptoms and their emotions surrounding it may be entirely different (and even a tiny difference can make an experience totally different). That being said, I have mental health problems and I can be understanding of, and empathetic, towards those that do. I don’t know what they are exactly feeling, but I have an idea and some of the things I feel may be the same or very similar. I also do know what it is like to have an illness that at times feels stigmatised and shameful, hard to talk about and lonely. I also know some strategies to help. Sharing my experiences may help. Some of the stuff I say may not, and I will never assume I know how someone else feels just because I have a mental health problem too. I won’t even assume I know because we have the same mental health problem. What leads us to where we are is never going to be the same, and our experiences are never going to be neither. And I think this is important to realise. I think it is all too easy to assume certain things, and over identify with people, which is harmful in more ways that I can explain but can also lead to you not understanding why if something worked for them, it doesn’t work for you. Or it can make you compare yourself in other ways, like with eating disorders. “I’m not scared to eat that, does that mean they are worse than me and I don’t really have a problem and I don’t deserve help?”. I reiterate that there are a million ways it is harmful, and I cannot begin to cover them all. One I will highlight, for any professionals or carers in particular is what I experienced today. I’m going to keep the details vague. Somebody told me that they know how I feel because someone close to them in their life has self-harmed in the past. At first I felt relieved to hear it because I thought “this person is going to understand, and isn’t going to treat me like I am wasting their time” but I soon changed my mind, hence this post. The person assumed too much. They assumed they knew why I self-harm by using the reasons their relative self-harmed. They stole me of my own words and built my story up using their story when my reasons for self-harming were nothing like their relatives and therefore what she was describing and advising was totally irrelevant to me. Now, this person meant well. They were lovely, and I was not at all angry. But it does worry me that this happens a lot. Professionals need to remember, regardless of their experiences personally, that the person sat in front of them has a different story of their own, and I often think this is one of the problems that can occur especially when people enter the mental health field (this person was not in the mental health field) because of a personal experience of mental health. I think personal experiences can be valuable, priceless. They can also give people tunnel vision if you like. They can’t see outside of their experience and sometimes they say too much about their experience and it’s important to remember your job role is for the patient, not yourself, as harsh as that may sound. It’s not necessarily a criticism, but I think it’s an important thing to be aware of. One reason I am glad I left mental health nursing is because I know I over-identified with patients and was too emotionally invested. Protected: It’s not all bad.